As fishing in the United States is seen as a field sporting activity, it makes a great location to experience all the thrills the sport has to offer. Seeing how vast and diverse the country is, both winter and summer are equally great seasons to try new fishing spots; especially when discovering more diverse water-loving species. 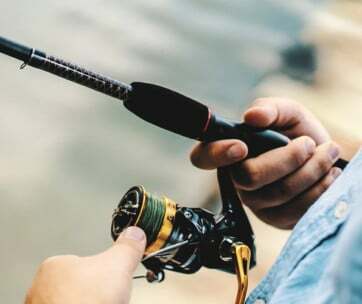 Age and skill contribute nothing to your skills as a fisher; therefore it doesn’t matter if you’re a novice in the world of fishing, seasoned senior in the fishing game, or a young, talented fisherman (or fisherwoman), fishing trips are a one-way street which everyone can tread upon. So, don’t wait for too long, because tomorrow might be too late. We will take you through twenty of the best fishing spots in the USA, some of which surprisingly, may be extremely close to your home. If you’re searching for a fishing spot where you can acquire an abundant supply of Striped Bass and Bluefish, this is the most magnificent location for you. Martha’s Vineyard is home to the oldest fishing tournament in the United States, and it’s a place where you get to reel in various fish species such as bonito, bunker, false albacore and even mackerel, depending on the particular area you’re going to fish. Once you’ve decided on this fishing spot, you won’t have to pack all your fishing gear along, as this area has many tackle shops available. California generally has a warm and mild climate, and this is great for all those who want to go to the California Delta (found in Northern California) to perfect their angling skills anytime within the year. Packed with river banks and many piers, the delta provides you with many opportunities to reel in fish such as sturgeon, striped bass, catfish and black bass. With all the many derbies that go on annually at this location, your fishing time just got more exciting, as you can be a spectator and enjoy the view while you search for the trophy-worthy catch. It is advised that before setting off for this beautiful fishing spot, you prepare all your protective equipment, including your fisherman hat and sunglasses for fishing, as the weather might prove to be too hot for some anglers. The best time for fishing in Charlotte Harbour, believe it or not, is during the winter. There’s a lot of fun in packing up gear such as a steelhead into your pickup, driving to the Harbour and swinging on the ice; more to satisfy your desire to fish than to catch fish. This spot makes for an incredible fishing location, because of its unique blend of freshwater and saltwater from the Peace Myakka, Caloosahatchee rivers and the Gulf of Mexico. From redfish to snooks, and barracuda to groupers, there is a diverse range of fish species available for reeling in. You can also take the time out to practice and perform different kinds of fishing, from deep sea fishing to kayak fishing. Another Florida fishing location is the Florida Keys. Boasting of a large 125 miles stretch of long arc islands, this is a place where you can visit to catch fish all year long. The species found here are many, just like the locations we’ve tackled earlier. This one, however, is always overflowing with species that range from tarpon to redfish, bonefish and snook. All species that are found here have been listed in an extensive article published by the Sports Fishing Mag, making it a pilgrimage for both fishing enthusiasts all around the United States; even though a large percentage of them don’t eat fish. So what are you waiting for? 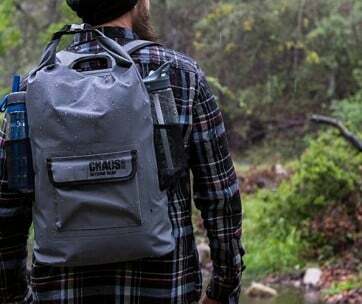 Pack your fishing backpack and hit the road. In the state of Montana, river fishing is an extremely great sport. Visiting Montana without giving yourself the chance to go angling in Bighorn River is a significant loss to your trip. As opposed to earlier locations that are full of various fish species, this is a fishing spot that is not so diverse. It is, however, packed with some tasty brown trout, and is an excellent location for all accomplished anglers to try some laid-back fishing; which may reward you with a brown trout every now and then. 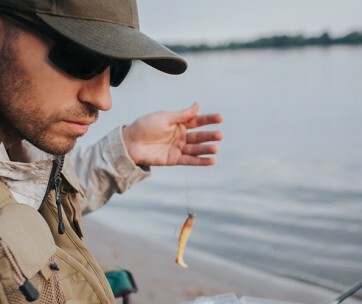 The trick to river fishing is to send the fish to the front and back first, swinging it from top to bottom, before releasing the index finger line. The left hand will reverse the track after falling into the predetermined punctuation. One of the locations in the United States worth considering is the Lake Austin. Known to permit fishing enthusiasts to reel in a 20-pound largemouth, this fishing spot should be right up your alley, especially if you’re a fan of bass. It is an area that is significantly cooler than other regions found within the state of Texas, and this must be considered when making the trip. Make sure you pack a pair of reliable fishing shoes. During the day, fishing might not be any fun due to the lake being filled with recreational boaters, but at night, you can have your fair share of this beautiful area. The best times to hit the Pacific Northwest for fishing is during the summer and spring seasons. You can gain unlimited access to various types of fish in this river, from sturgeon to steelhead and even smallmouth bass. If you’re not an experienced boater, you might find it hard navigating the waters of this angling spot, as it may prove to be tricky. In such a scenario, it is advised that you opt for fishing from the shore, which is also a great option either way. 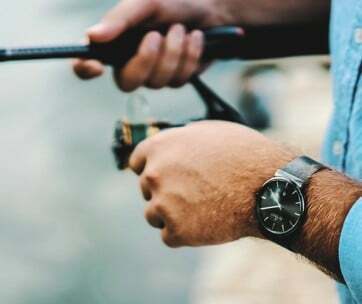 Make sure you bring your fishing watch so you can always consult the GPS and understand your environment. There is another fantastic fishing spot fund in the beautiful state of Texas, the Lake Fork Reservoir. Mostly known for bass fishing, just like many other areas in Texas, this lake contains a broad range of fish including channel catfish, bream, black and white perch as well as sunfish, so be sure to pack the best and appropriate tackle with you. It is true that the probability of you reeling in the bass is a 100 percent, but give it a try, and you may be surprised with a crappie instead. You can use anything from a small colorful lure to live bait for fishing in this lake, thanks to the excellent water clarity of the Lake Fort Reservoir. Depending on the type of fish you’re searching for or hoping to reel in, you can pick a spot for your angling from a stretch of over 1,400 miles. In June, we recommend you check out where the salmon fly hatches, near the Rocky Mountains. This phenomenon is a great way to take advantage of this area and reel in some large trout. The fishing type that has gained popularity in the Kobuk River of Alaska is grip type fishing. Going on an angling trip to this fishing spot is not for the fainthearted, but rather for brave hearts who are looking out for something different for a change. This river is over 200 miles long and is home to many species ranging from lake trout to chum salmon, arctic char, northern pine and sheefish. The sheefish is a vast, fast and extremely strong fish that can put up a severe fight with anglers, no matter their level of experience. 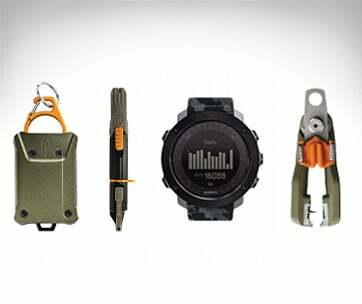 They require the use of equipment that is resilient enough to match their toughness. In grip fishing, a staple of this fishing area, the trick is to avoid tying the fish line around the fishing rod and your fingers. Instead, make use of your fingers to fasten the thread and watch as the fishing line stabilises by the tension placed on the rubber plug. If you prefer to reel in trout, or you want to give fly fishing a try, then the Green River in Utah is the best fishing location for you. This is an area that is home to the rainbow trout. To do a great job when fishing, you can use spinners or Rapalas, aside from the conventional fly tackle, but nothing prevents you from going in for baitcasting or utilising the best spin cast reel, especially if you’re new to it and want to experience it in all its glory. Fishing aside, this area comes with breath-taking views and budget-friendly lodging prices which make you fall in love in seconds. Not only is the Tahoe the second deepest lake in North America, but it is also the largest alpine one. 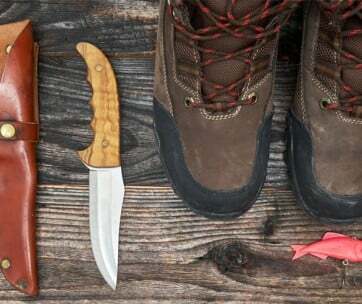 From improving your skiing skills during the winter to hiking during the summer, there are countless activities one can undertake here apart from fishing. Salmon and brown trout are a few of the many species of fish found in this lake, in addition to Mackinaw and rainbow trout. Beware though, that fishing here comes with a catch (pun intended). To preserve the health of this fishery, everyone is allowed to catch five fish, and this rule must be adhered to by everyone. If given the opportunity to visit Devils Lake, you better do it; it’s a fantastic spot for fishing and tourism in general! This lake is also referred to as the ‘Perch Capital’ of the United States, and offers fishing enthusiasts a broad range of fish species, from northern pike to white bass and walleye, not forgetting crappie. This is one of the few salty lakes in existence, and with the steady rise of its waters, it has become home to the common carp, a rough fish that negatively affects every ecosystem. It is believed that in time, this fish will populate the lake affecting all the species currently existing in the Devils Lake. The best time to visit this lake thus is now! Your search for a calm area for fishing is over. We present to you the Lake St. Clair, a favoured destination for fishing in the United States. Even though it’s not as celebrated or well-known like the other places listed above, this lake is an area filled with fish like smallmouth bass, muskie, crappie and walleye. If you’re looking to reel in more bass in a short while, especially during the summer, your best option is to take a charter boat. This will have you catching fish in just over six hours, whereas doing this in other less friendly water will have you spending your whole day at one spot. Push the best fishing cart with all your necessary gear, or take a simple stroll on the shores of this beach, drinking in all its goodness and breathtaking views. Gulf Shores is one of the favourite destinations of anglers, mainly because of its diversity as compared to the Gulf of Mexico. Whereas the latter may sweep you off your feet with all its beauty and splendour, the Gulf Shores offer anglers access to fish such as marlin, snapper, tuna and king mackerel, when they go off into the coast, in addition to species such as flounder and redfish when they opt for shore fishing. This is a fishing spot that encourages you to perfect your deep sea fishing skills, which may probably be what you’ve wanted to do for a while now. There are about twenty-five restaurants found in this area, and many of them are willing to cook the fish you caught especially for you. This is a beach resort that is quite famous for fishing, even though it’s also been identified as one of the busiest tourist locations in East Hampton. In Montauk’s deep waters you have species such as tuna, shark, marlin and dolphin fish at your disposal, while the shallow waters offer you cod, fluke, flounders, bluefish and mackerel. Montauk is an area with a lot of charm, with it being found on the eastern end of Long Island. There are also many affordable motels you might love looking into for a more extended, enjoyable stay. Montauk is home to the first lighthouse in the state of New York, and the fourth longest in the United States’ history. It is in summary, the best battlefield for tough fishers. With an estimate of seventy per cent of the entire striped bass population found on the Atlantic Coast, it is highly likely that the Chesapeake Bay is the mother of all bass that can be caught in the United States. This area doesn’t offer fish enthusiasts with a broad range of fish species, but if you’re not a fan of the striped bass, there are always bluefish, croaker, speckled trout and drum available for you to choose from. One of the most challenging species identified on this planet is the rainbow trout, also referred to as the steelhead of the Chesapeake Bay. Not only are these awkward, but they are also terribly large and extremely beautiful. Do you want to be extremely adventurous and say yes to some serious ice fishing? Then you should consider planning a trip to Northern Minnesota, even though it doesn’t fall under our list of ‘warmest’ fishing locations. Say hi to your adventurous side and gear up to fight the cold and catch some yellow perch, largemouth bass, crappie and walleye. There are several northern pikes found in these waters, and this often tends to draw many anglers all the time. If you’re uncertain about the exact gear or equipment to get, this area has a number of personal fishing guides that can offer you with enough help and fishing education. The Lake Shelbyville in Illinois is one of the famous angling locations, mainly during the warm summer days. This lake is home to many types of fish like the flathead catfish, walleye, bass, crappie and the bigmouth buffalo. Carp is also abundant in this lake thus; you can use your fishing expertise to reel in a good deal of carp. This lake is within proximity to many campgrounds and motels making it an ideal location for road trips. There are also two state parks found around this fishing spot, so be sure to keep your mind open for many new adventures with your friends and family. The last fishing spot we recommend in the United States is the Thousand Islands, in New York. Just as the name suggests, this area features several kinds of fish species, from muskies to northern pike and largemouth bass. The diversity of this area cant is compared to others enlisted. It’s been advised that when hoping to reel in the muskies found in this area, you must come with every skill you know, as they’re known to grow up in no small length of 60 inches. With the myriad of fishing areas provided within the United States, not being able to visit most, if not all, will indeed be a shame. There are countless other locations in existence apart from the twenty listed above, and the best way to discover them all is to organise a get-together and road trip with your buddies as soon as possible. Also look out for online fishing forums where other fishers share their experiences and suggest locations for others to try.